Jeff White photographed each child with Santa (Walt Cawein) and Chief Elf (Ed Barnes). Here, Ramon Diaz receives a gift selected just for him. Christmas time is hard for the farmworkers who come to Florida to pick fruits and vegetables. As they struggle to keep a roof over their heads and food on the table — and now squeezing in seasonal cheer — Beth-El Mission in Wimauma throws them a lifeline. Santa Claus unmasked, Walt Cawein. It’s also the time of the year when the mission’s donors and volunteers really rev up their efforts. 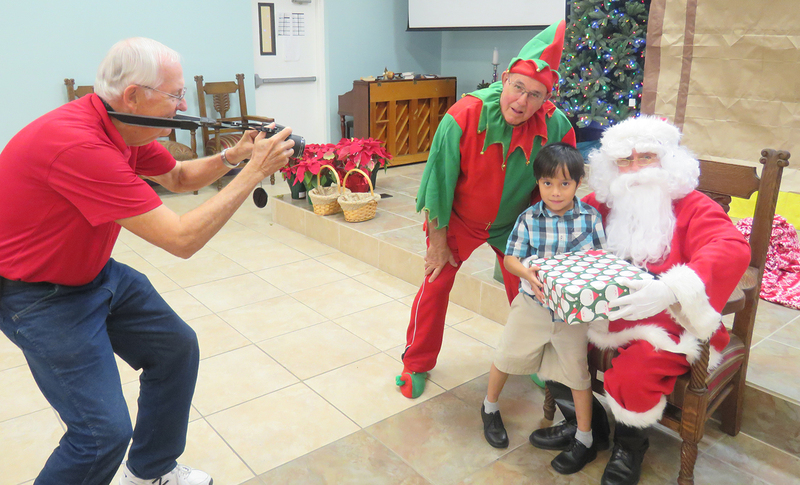 For example, three Sun City Center residents, Walt Cawein, Ed Barnes and Jeff White found a way to add to the merriment at a Christmas party for the farmworkers’ children. Following a pageant depicting the birth of Christ, Santa (Cawein) and Chief Elf Barnes made a grand entrance and presented gifts to the roomful of children, ages 12 to 17. Gifts distributed at the party came from several sources, including toy drives, Palma Ceia Presbyterian Church in Tampa and the SCC Charitable Foundation. Photographer Jeff White snapped away so that each child could have a picture with Santa. To cap off the evening, everyone enjoyed hot chocolate and traditional Mexican bolillo bread. Beth-El Mission Pastor Walter Chuquimia welcomed about 90 youngsters and their families for a Christmas party. 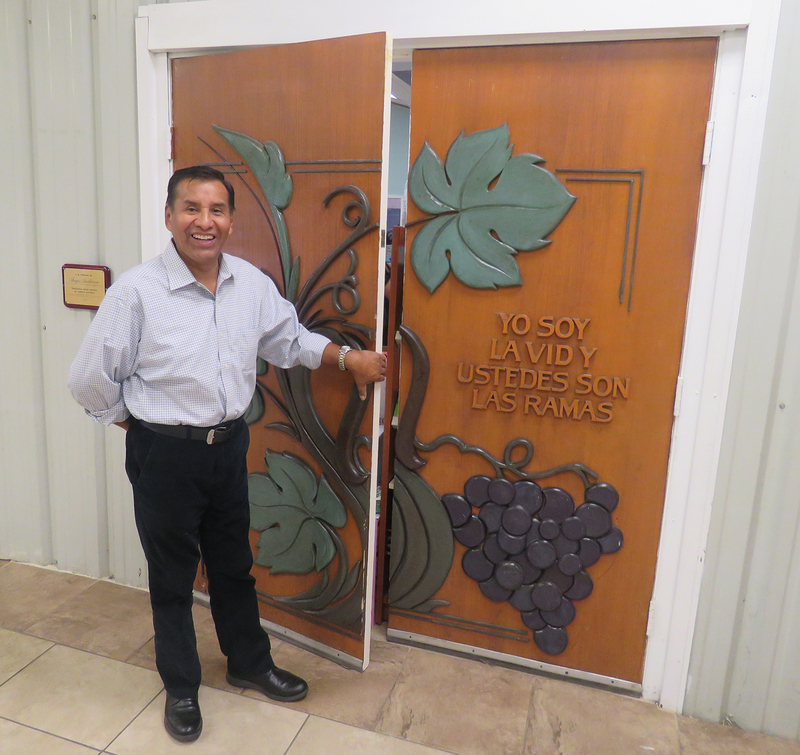 The hand-carved door to the sanctuary was created by Eduardo Salbierna, a Mission worker for the past 17 years. Both Barnes and Cawein are civic activists who work tirelessly to enrich the lifestyle of SCC residents. They are both past presidents of the SCC Community Association and are key players in the community. 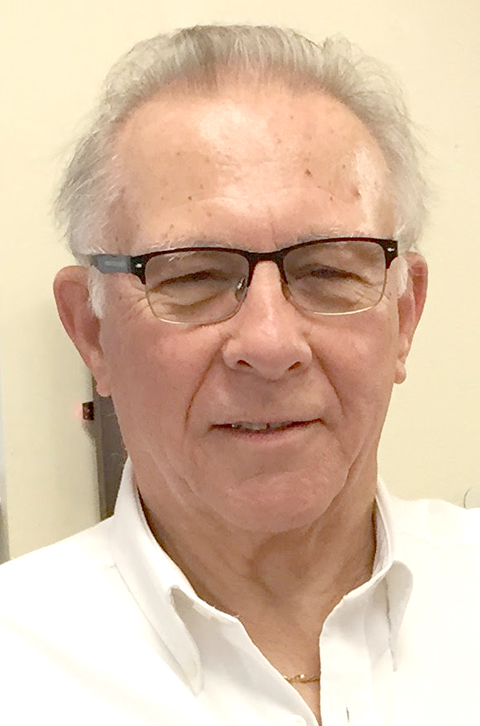 Cawein stays busy with his duties as president of the SCC Charitable Foundation and other volunteer activities. Barnes is vice president of the foundation and still works closely with the CA board on major projects. The Beth-El Mission began as a hunger relief program and has been at its current location for 30 years (U.S. 301, four miles south of S.R. 674). Each week 60 to 75 volunteers from Sun City Center and surrounding areas are there to help sort and divide the food they get from individuals, groups and the USDA. They prepare meals on Tuesday for 80 to 100 people and distribute 400 to 600 bags of groceries weekly. “We would not be able to stay open if not for the generosity of donors and volunteers. In fact, some of the people who we help also are volunteers,” said Executive Director Kathy Dain. Dain lives in Kings Point; Walter Chuquimia, the mission’s pastor, lives in Wimauma. Both are Presbyterian ministers. 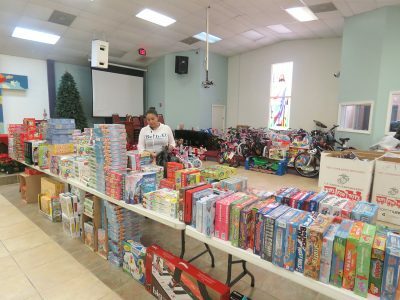 Beth-El is the largest distributor for Toys for Tots in Hillsborough County. Pictured is Sandra Ruiz, one of the volunteers who helped sort the thousands of donated toys, games and bikes.